Dubai International expects to become the world’s busiest within this decade, overtaking Beijing and Atlanta, spurred on by the expansion of Emirates airline. The airport, which overtook London Heathrow in 2014, expects passenger traffic to climb to 83 million this year from 78 million last year and expects 90 mllion people using the facility next year, Paul Griffiths, the chief executive of Dubai Airports, told Bloomberg TV in an interview. Dubai, already the world’s busiest airport by international traffic, added 7.5 million passengers last year. While Atlanta Hartfield-Jackson, the main hub for Delta Airlines, remains the busiest, it only processed 5.3 million additional passengers for a total of 101.5 million. Beijing airport added 3.8 million to reach 89.9 million. 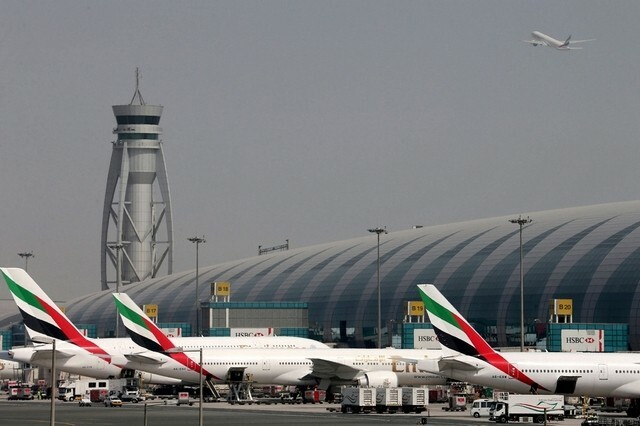 Dubai airport, which faced a more than five-hour shutdown in August following the crash-landing of an Emirates jet, said the incident did not affect its annual traffic target. The country’s civil aviation regulator is continuing with the investigation and has released an interim report. Mr Griffiths said he cannot “speculate on the outcome”. Passenger traffic at Dubai International reached 7,727,105 in August compared with 7,282,256 recorded in the same month last year, an increase of 6.1 per cent. Year-to-date traffic totalled 55,850,353 passengers, up 6.9 per cent, compared with 52,264,223 during the first eight months of 2015. The seasonal rush of travellers, in particular UAE residents returning for the start of the academic year, boosted traffic and led to a bumper month, the airport operator said. Eastern Europe was the fastest-expanding market in terms of percentage growth (67.9 per cent), followed by Asia (13 per cent), South America (11.7 per cent), and the Indian subcontinent (11.7 per cent). India remained the top destination country with 924,256 passengers, followed by the UK (584,508 passengers) and Saudi Arabia (535,280 passengers).